A lot of people have climbed Mount Everest in last few decades, which has turned the world's highest peak, Mount Everest into a rubbish dump. 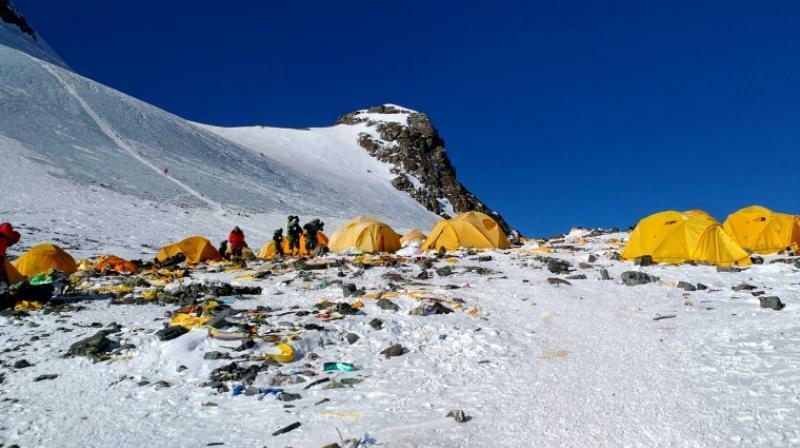 Fluorescent tents, discarded climbing equipment, empty gas canisters and even human excrement litter the well-trodden route to the summit of the 8,848-metre (29,029-foot) peak. 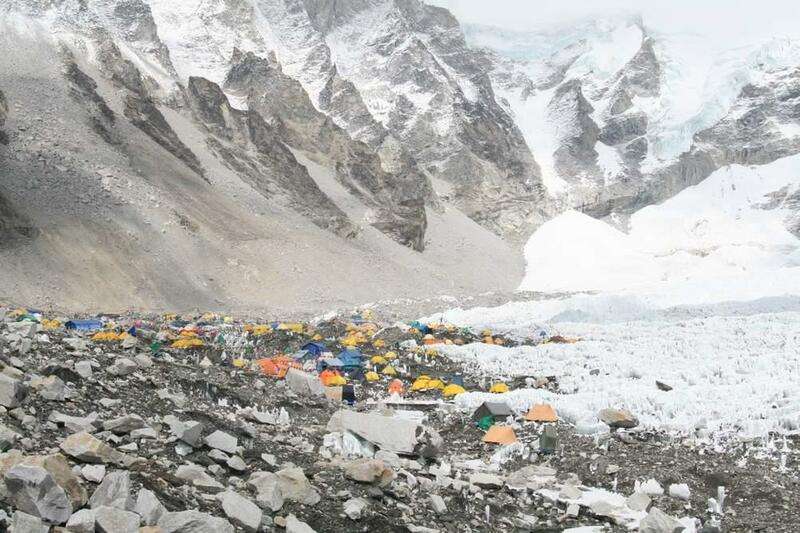 "It is disgusting, an eyesore," Pemba Dorje Sherpa, who has summited Everest 18 times, told AFP. "The mountain is carrying tonnes of waste." More than 600 people have scaled the world's highest peak so far this year alone -- the problem has worsened. Efforts have been made. Five years ago Nepal implemented a $4,000 rubbish deposit per team that would be refunded if each climber brought down at least eight kilogrammes (18 pounds) of waste. On the Tibet side of the Himalayan mountain, they are required to bring down the same amount and are fined $100 per kilogramme if they don't. In 2017 climbers in Nepal brought down nearly 25 tonnes of trash and 15 tonnes of human waste -- the equivalent of three double-decker buses -- according to the Sagarmatha Pollution Control Committee (SPCC). Pemba shrugs that many just don't care. Compounding the problem, some officials accept small bribes to turn a blind eye, he said. "There is just not enough monitoring at the high camps to ensure the mountain stays clean," he said. Sherpas, high altitude guides and workers drawn from the indigenous local ethnic group, carry heavier items including tents, extra oxygen cylinders and ropes up the mountain -- and then down again. But now, many climbers can't manage, leaving the Sherpas to carry everything. "They have to carry the client's gear so they are unable to carry down rubbish," Benegas said. At the moment the raw sewage from base camp is carried to the next village -- a one-hour walk -- and dumped into trenches. This then "gets flushed downhill during the monsoon into the river", said Garry Porter, a US engineer who together with his team might have the answer. 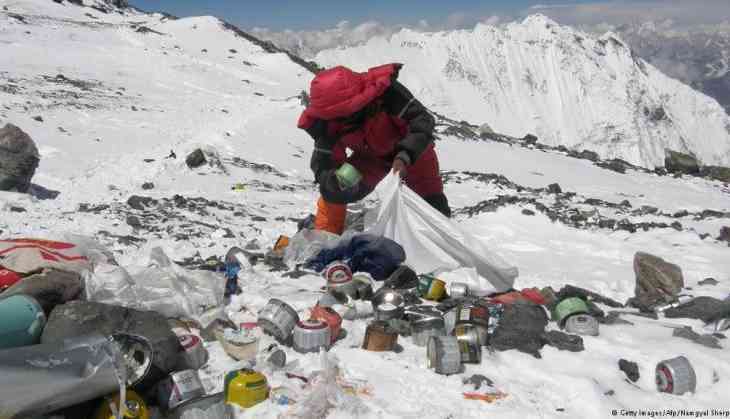 His expedition operator Asian Trekking, which has been running "Eco Everest Expeditions" for the last decade, has brought down over 18 tonnes of trash during that time in addition to the eight-kilo climber quota. And last month a 30-strong cleanup team retrieved 8.5 tonnes of waste from the northern slopes, China's state-run Global Times reported. "It is not an easy job. The government needs to motivate groups to clean up and enforce rules more strictly," Ang said.